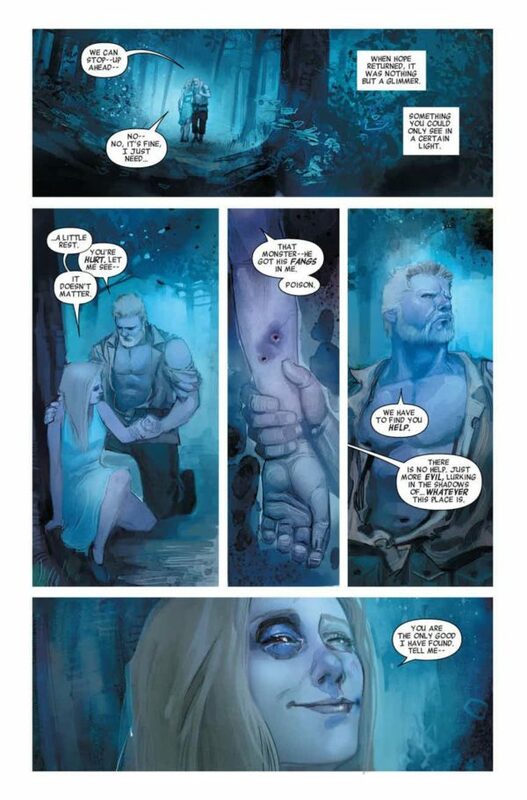 Although this issue of Secret Empire has powerful symbolism, it also has an inescapable sense of being filler. It's all about moving the pieces into place for the endgame. 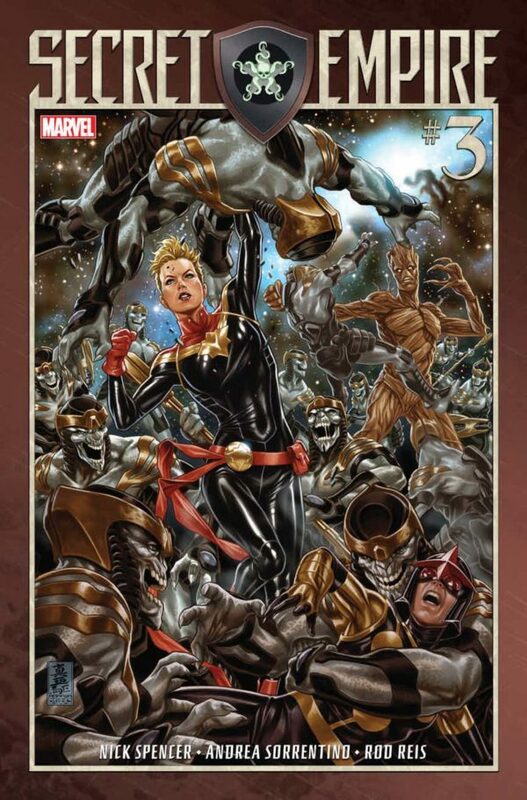 For all the hype and excitement surrounding Secret Empire – not to mention a good degree of controversy – this issue has an unmistakable sense of being filler. Nick Spencer is enjoying exploring the Hydra-controlled world that he’s created, and I understand that he’s trying to make it all feel a little bit more real. He wants to explore the sense of hopelessness and despair that’s attendant in such a fascist-controlled world. At the same time, though, that makes for a slow-moving event comic. This issue is all about moving the pieces into place. On the one hand, you have Black Widow preparing to launch an assassination attempt on Steve Rogers. On the other hand, you have Hawkeye leading a team in pursuit of the Cosmic Cube. Meanwhile, Steve Rogers himself pursues the Cosmic Cube relentlessly. 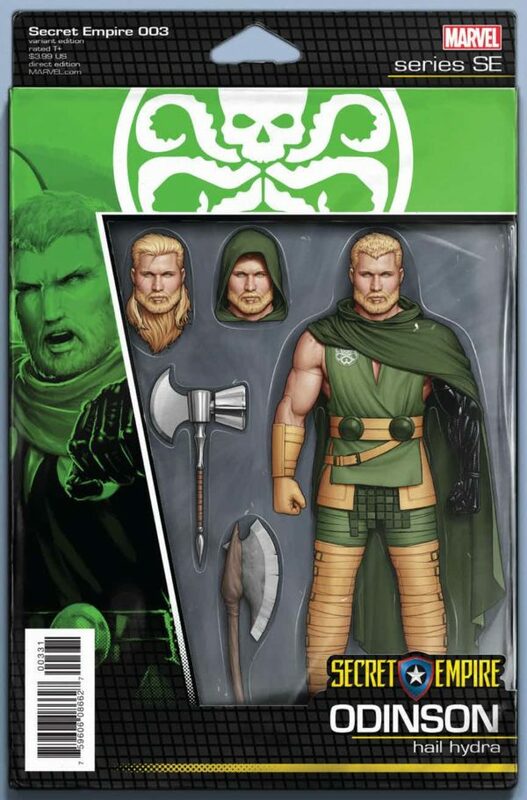 Should he get his hands on it, reality will be completely rewritten, and Hydra’s victory will be solidified forever. 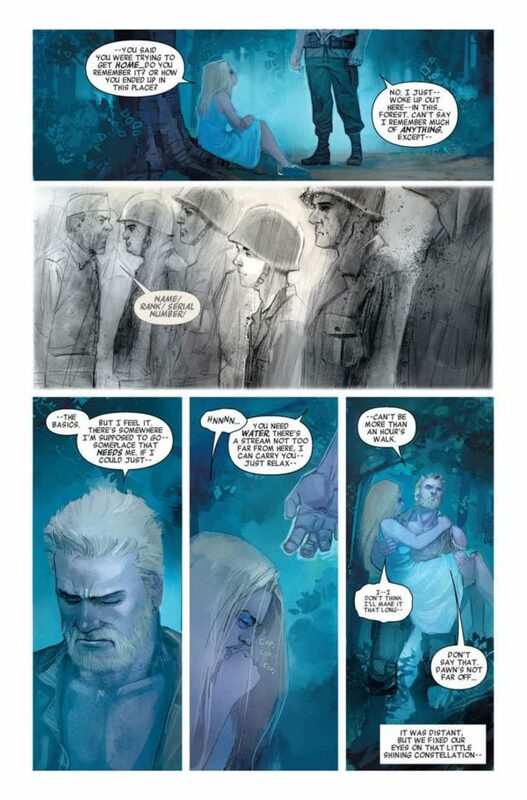 The twist at the end of Secret Empire #2 left me puzzled as to just what kind of story I’m reading; who is this ‘other’ Steve Rogers, who’s trying to get home? My instinct is that these events are happening inside Steve Rogers’ mind somewhere; that this represents the last fragment of Rogers’ true goodness, fighting to get to the surface. If that’s the case, then this is the story that really matters. This is Nick Spencer’s ‘get out of jail free’ card for the controversial HydraCap arc; that Captain America’s innate goodness will somehow win through. The whole arc has been a fascinating exercise in political symbolism, and Nick Spencer has used it to cast shade on contemporary American politics. Those themes come to the fore again in Secret Empire #3, and so many comments feel rather pointed. I’m a firm believer in the power of comics to explore complex, sophisticated real-life issues. I view comics as an art form, and all art has the power to help us interpret the real world. The catch, though, is that Secret Empire wears its politics on its sleeve, probably a little bit too much for most readers. There’s certainly no subtlety here. 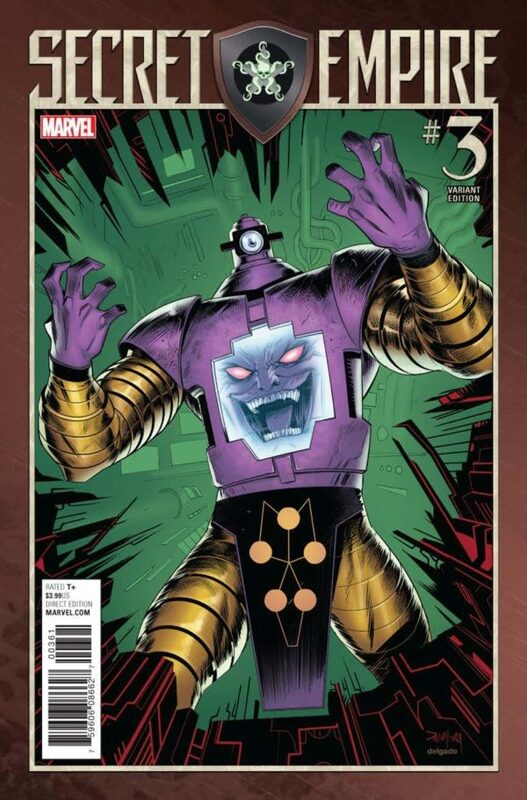 The problem is, absent a Cosmic Cube rewriting reality again, I don’t know how the characters can come back from this. The issue ends with yet another key Marvel hero revealed to be working for Hydra – the Punisher – and that’s a pretty eye-rolling development. Given that writers like Nathan Edmondson have used the Punisher to explore right-wing ideology in a more positive light in the last few years, it’s a disappointing plot twist. 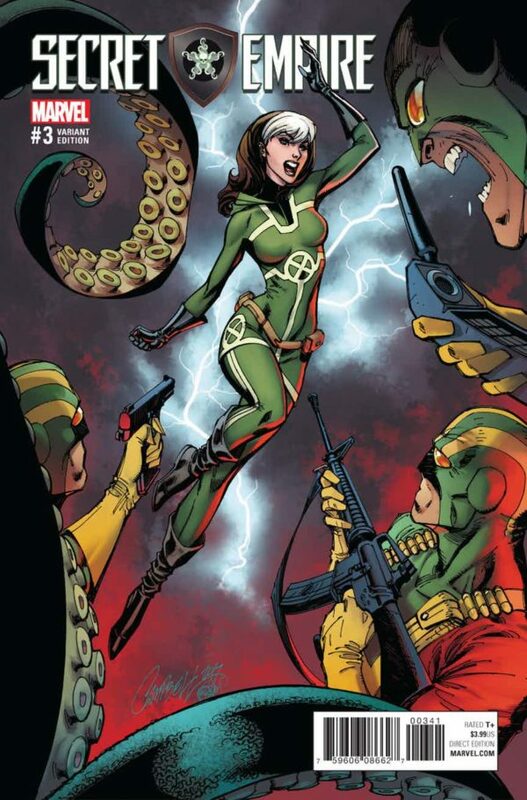 Now, unless the Cosmic Cube is used to reset reality, the fact that he chose to work for Hydra will leave a mark. 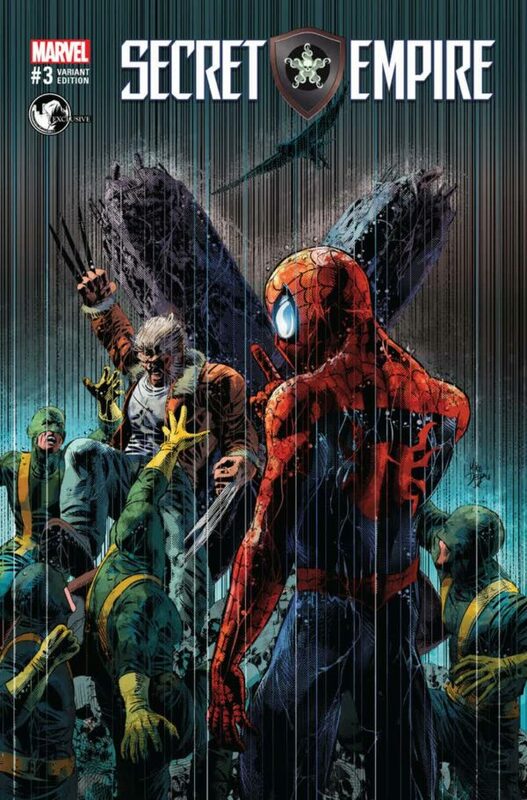 Andrea Sorrentino and Rod Reis’s art is strong here, but it has its weak points. The issue opens with a glimpse of what’s going on in space (hence the cover), and they makes a few artistic choices that just don’t quite ring true. 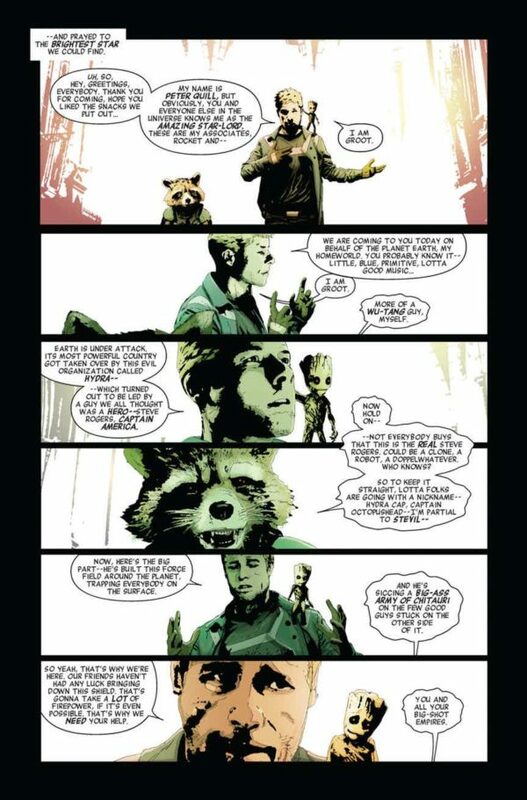 On the flip side, I love the way the artistic team choose to highlight Star-Lord putting his helmet back on – that moment was very effective. The use of colors is a little uninspiring, reminding me of the duller tones used to represent the Framework reality in Agents of S.H.I.E.L.D., and unfortunately, it doesn’t quite work in the context of the comic. 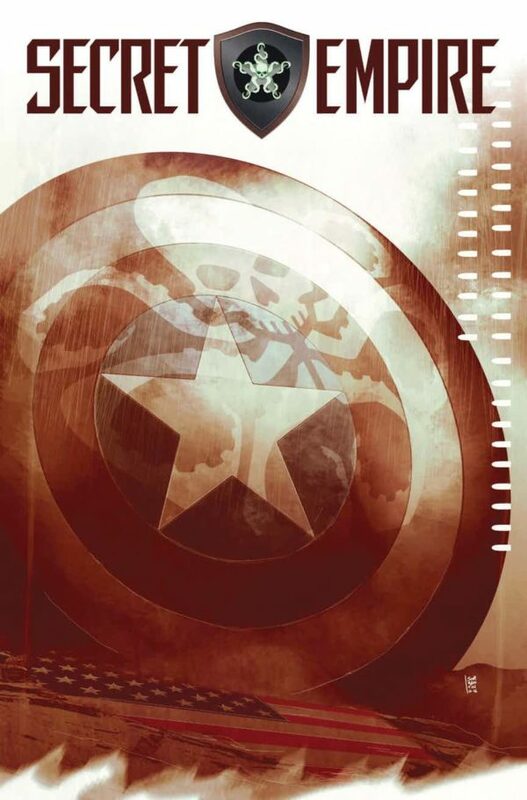 This core miniseries of Secret Empire increasingly feels like a game of chess, and this issue is largely devoted to moving the pieces into place for the endgame. 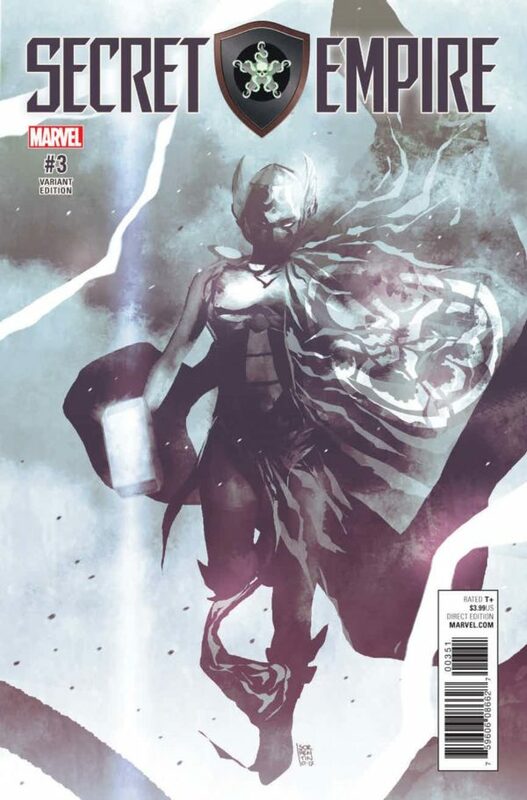 Unfortunately, Secret Empire #3 is just a little bit too obvious in what it’s trying to accomplish, and that really does reduce the issue’s effectiveness. I’m looking forward to seeing where we go from here, but the next outing really does need to increase the pace.